On the breakout single “Legendary,” lead singer and guitarist Sam Getz belts, “Cuz we’re gonna be legends, gonna get their attention.” Breathing life into those words, this anthem captured the globe’s “attention” in 2017. Initially igniting Germany after its independent release, the song quietly spread like wildfire across countless influential Spotify playlists, cracking 34 million streams and 1.25 million Shazam’s in under six months. Earning their first watershed moment, “Legendary” resulted from years of tireless work by the six-piece—Getz, Brett Lindemann [keyboard, vocals], Jimmy Weaver [bass, vocals], Mikey Gould [drums], Bri Bryant [vocals], and Jon Bryant [vocals]. Along the way, they scorched stages at SXSW,Austin City Limits, Laurel Live, Red Rocks, and Summerfest and toured with the likes of NEEDTOBREATHE. 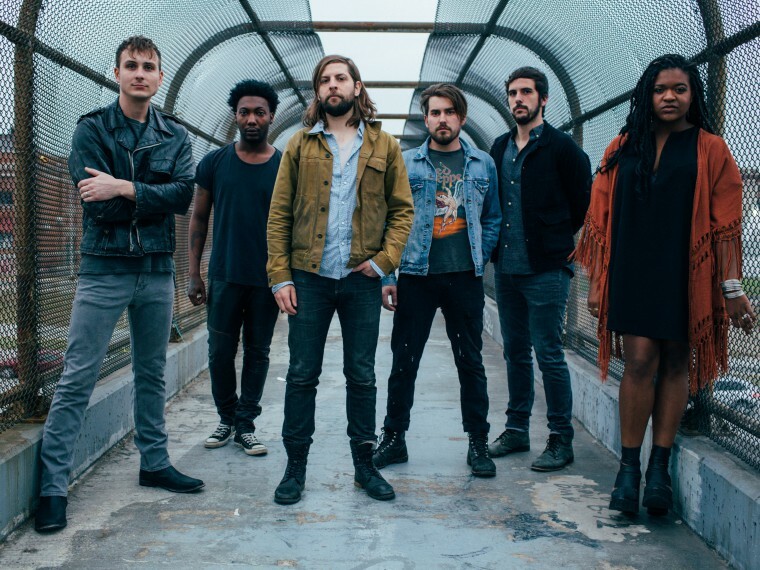 Simultaneously, Welshly Arms honed a signature style by writing and producing every note themselves in their hometown HQ.